The Fremont Festival of the Arts is celebrating 31 years of fun in the sun. 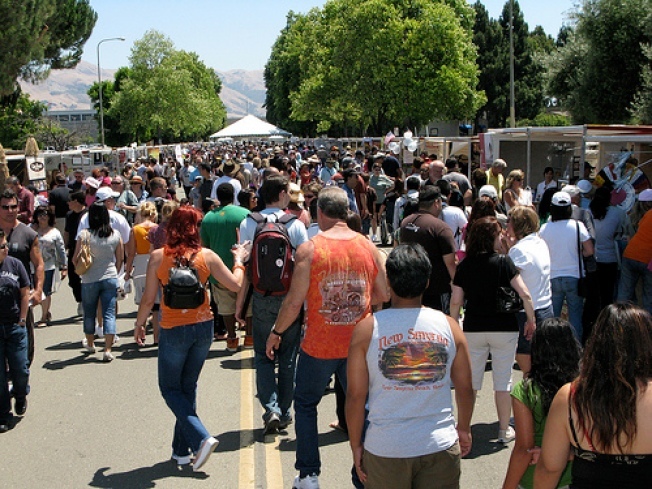 The Fremont Festival of the Arts is the largest two-day street festival west of the Mississippi with an attendance of approximately 385,000 and at least 650 artisans. The Festival hosts a wide variety of activities and entertainment for the entire family; over 700 top-quality artisan booths delight the most discerning shoppers, music lovers enjoy continuous music featured on three stages, children are thrilled with the many games and activities found in “Kid City”, and Gourmet Marketplace offers gourmet specialties for the discerning cook. Admission to the Festival is free for everyone.